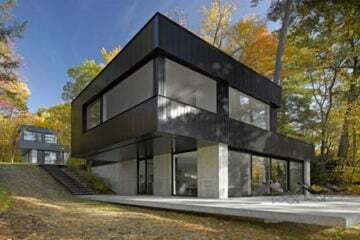 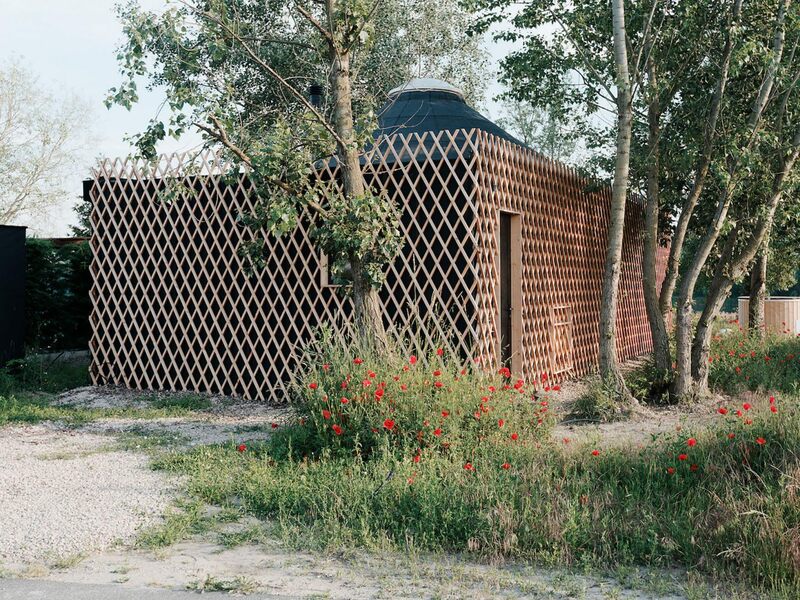 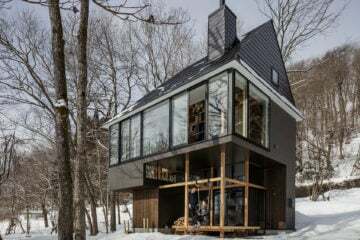 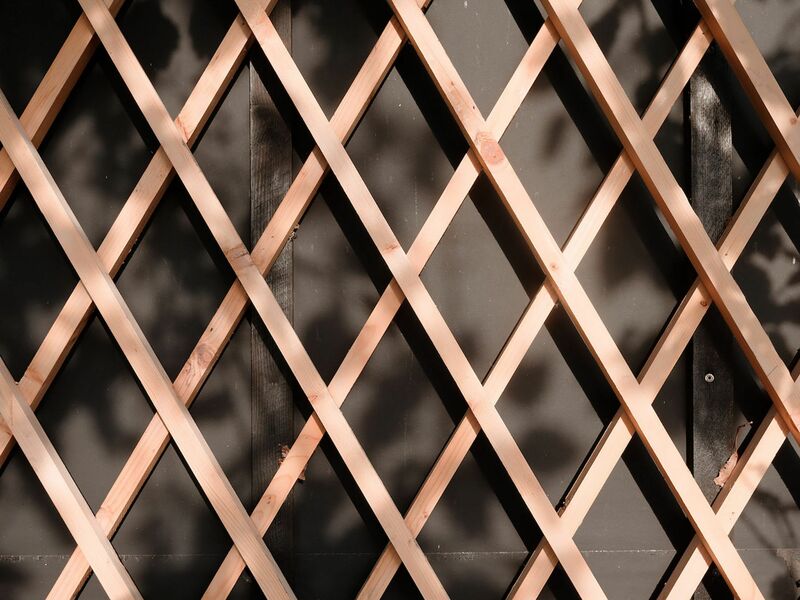 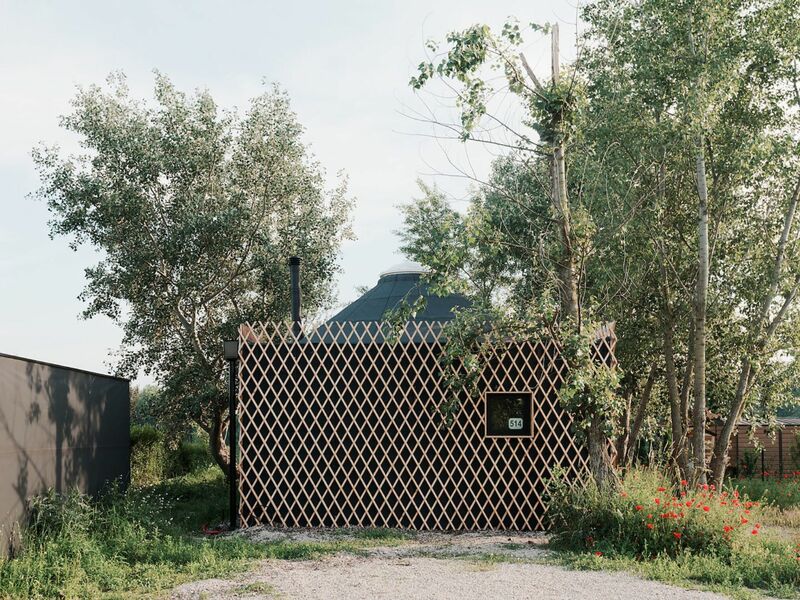 From the outside, the property is an unassuming cube, covered in black insulation plastic that has been overlaid with a lightwood diamond lattice. 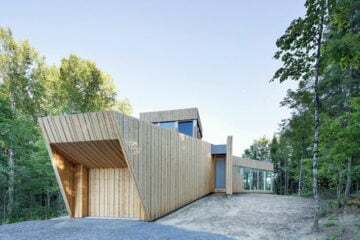 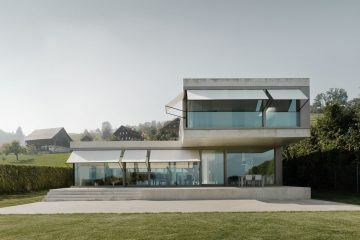 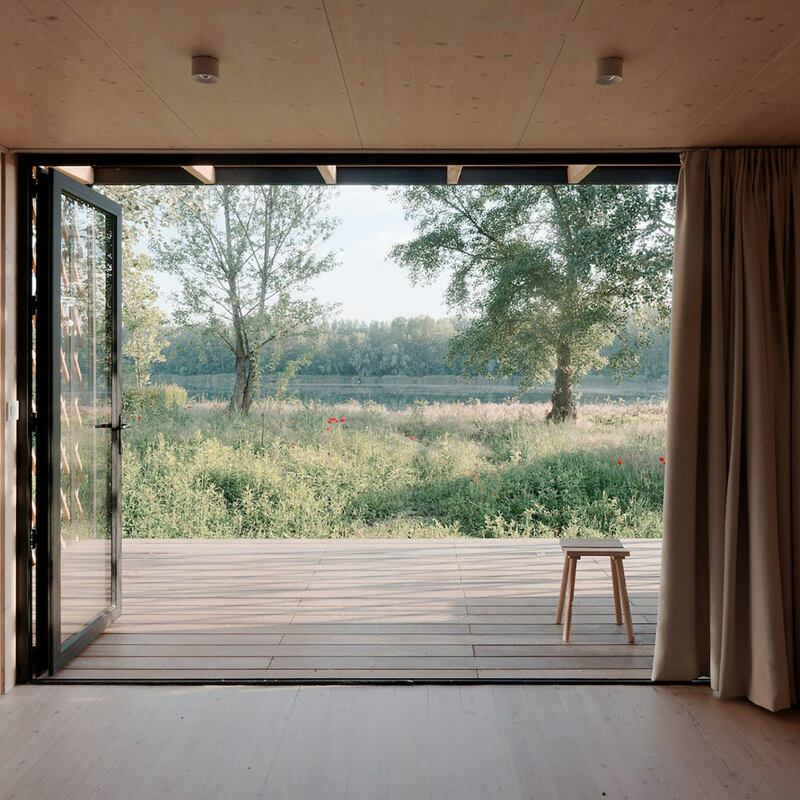 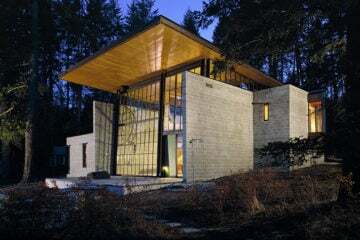 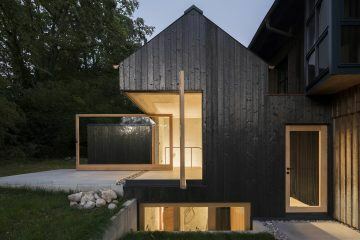 Its exterior is delicate, but not defining—inside is where the reductive approach of Peter Jurkovič, the lead architect of JRKVC, comes to the fore. 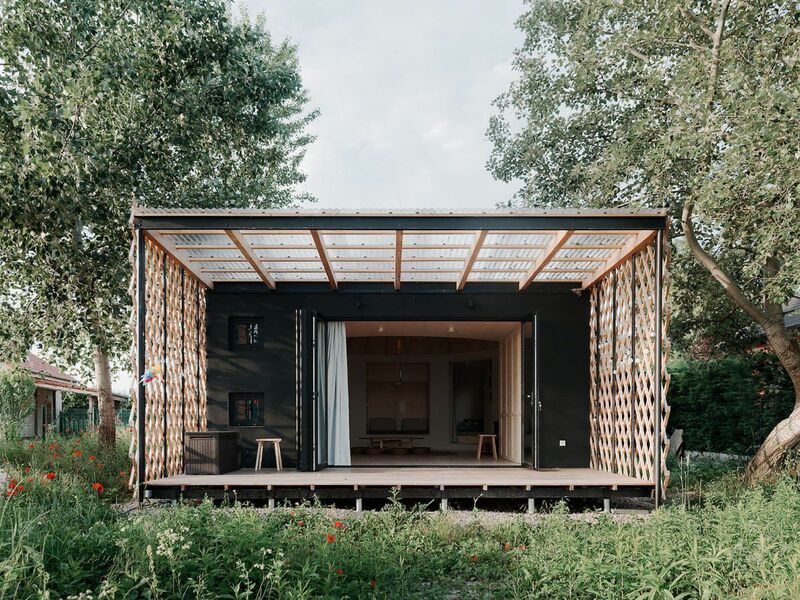 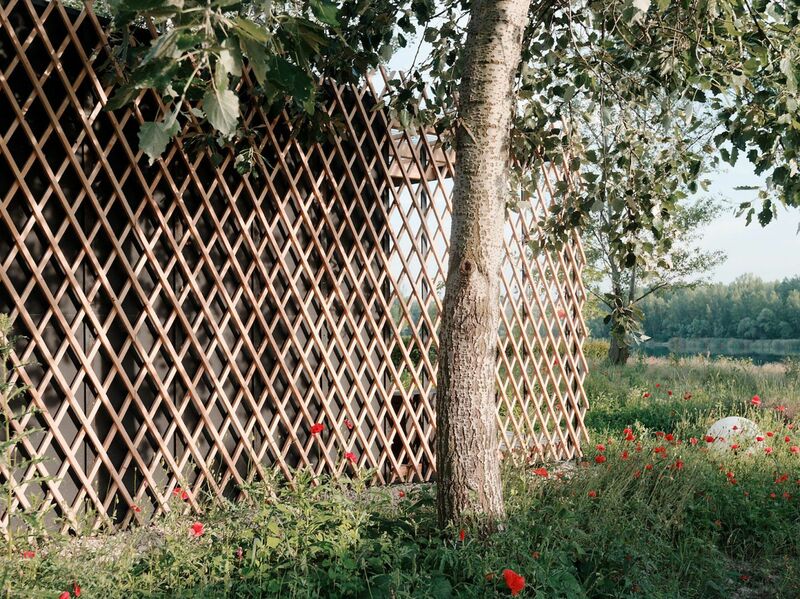 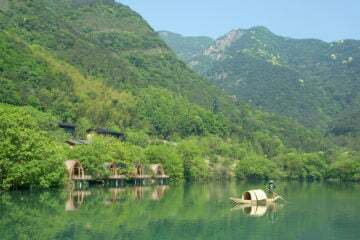 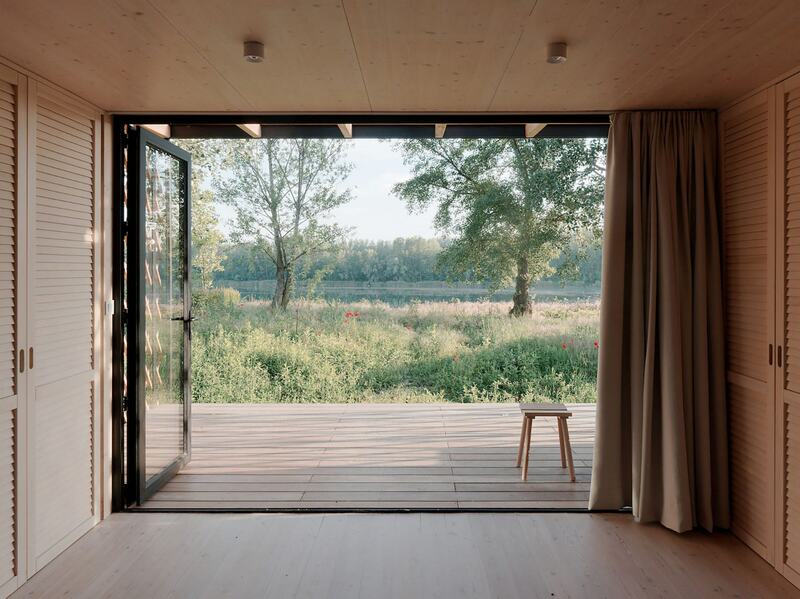 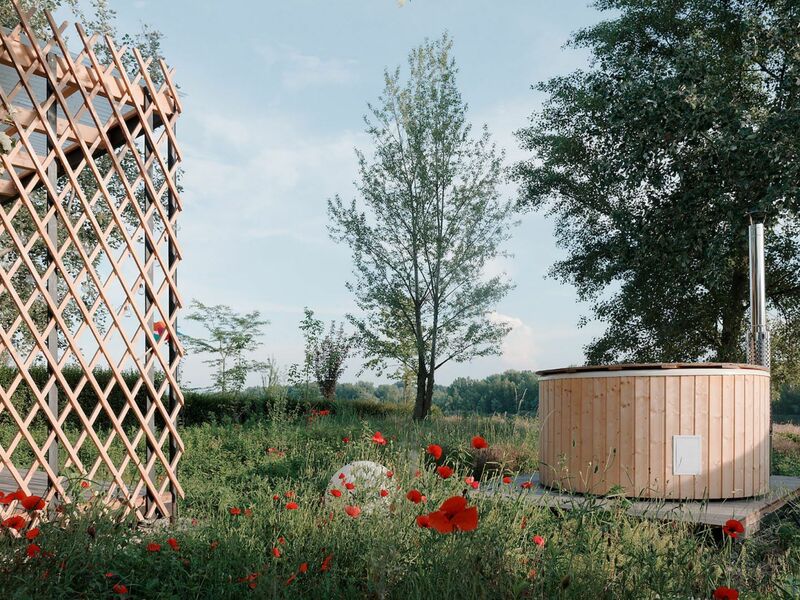 In this reimagination of a yurt, the portable structure used by nomadic tribes becomes a home anchored to the land, opening with large glass doors onto a small deck that overlooks the lake beyond. 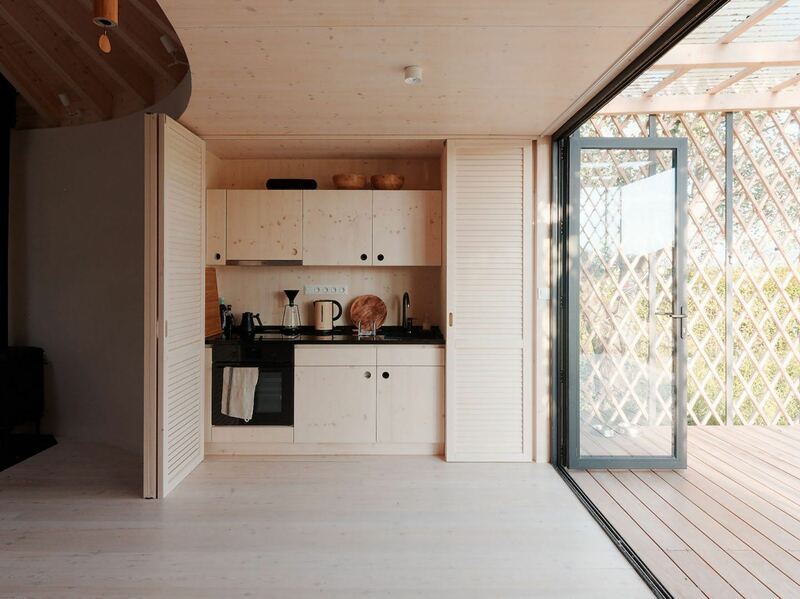 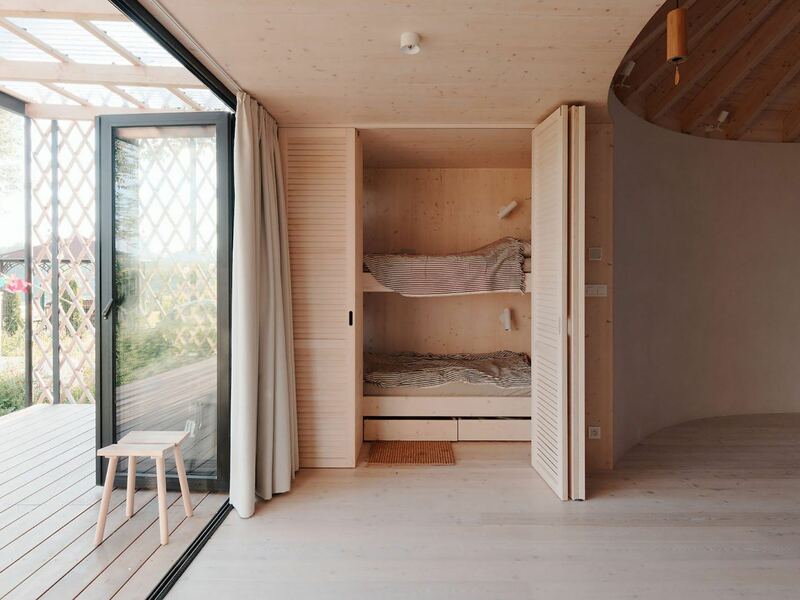 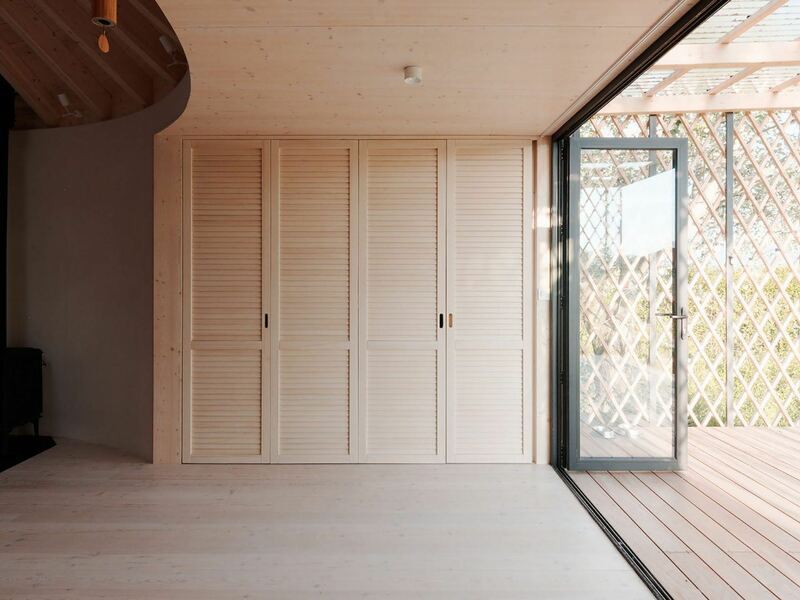 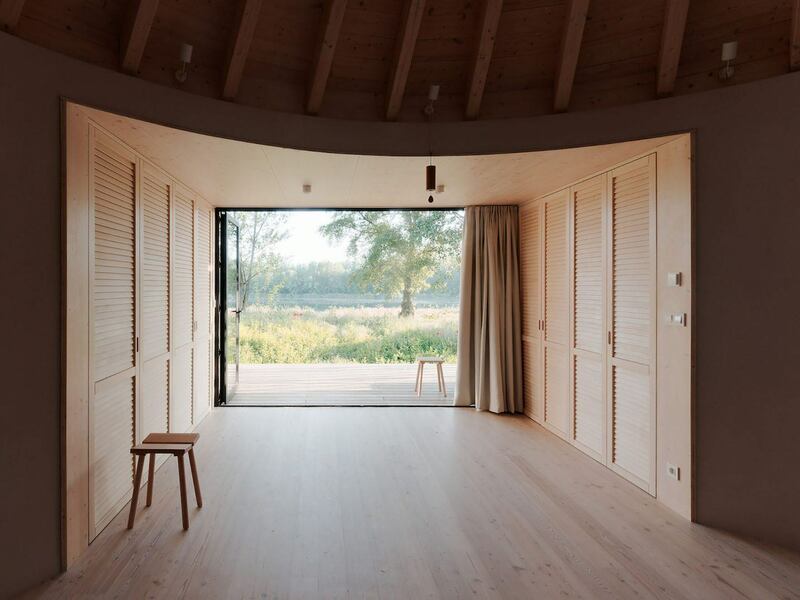 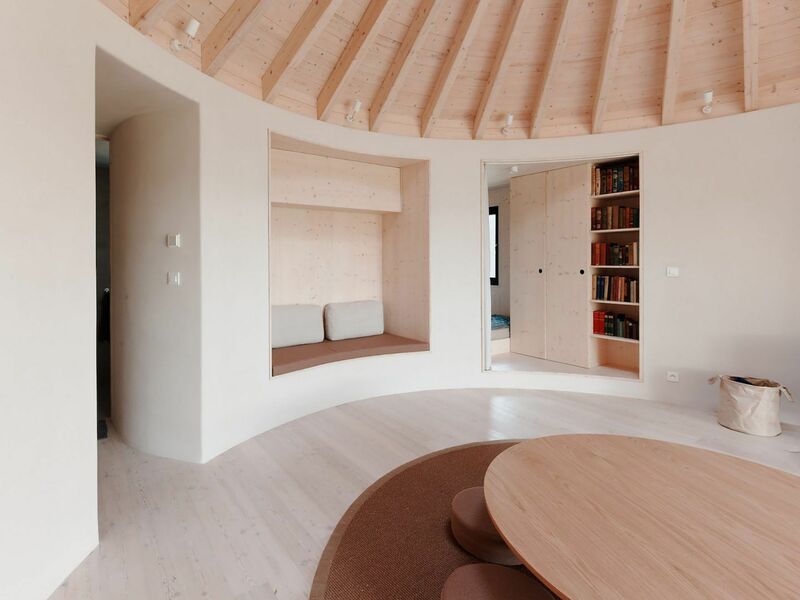 In a clever distribution of space, the large circular room that sits at the center of the building is also home to a kitchen and a bunk room that are both concealed by wooden concertina doors. 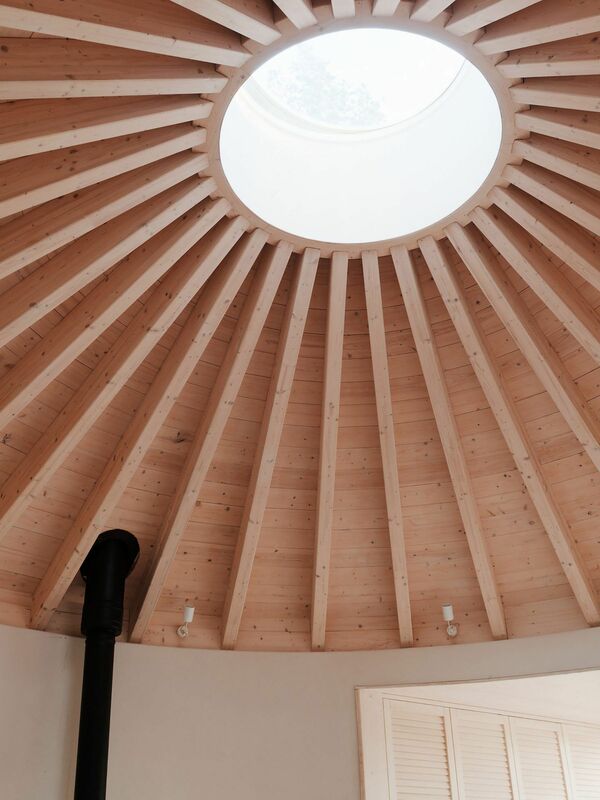 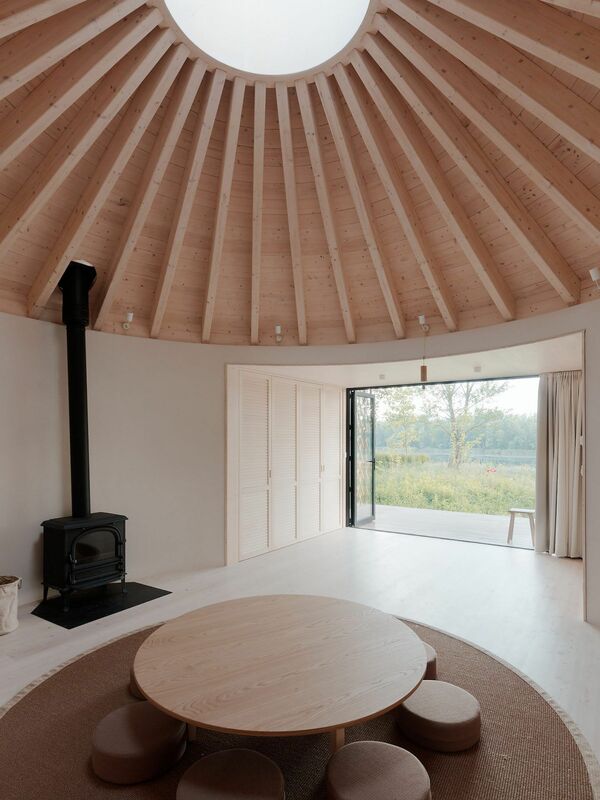 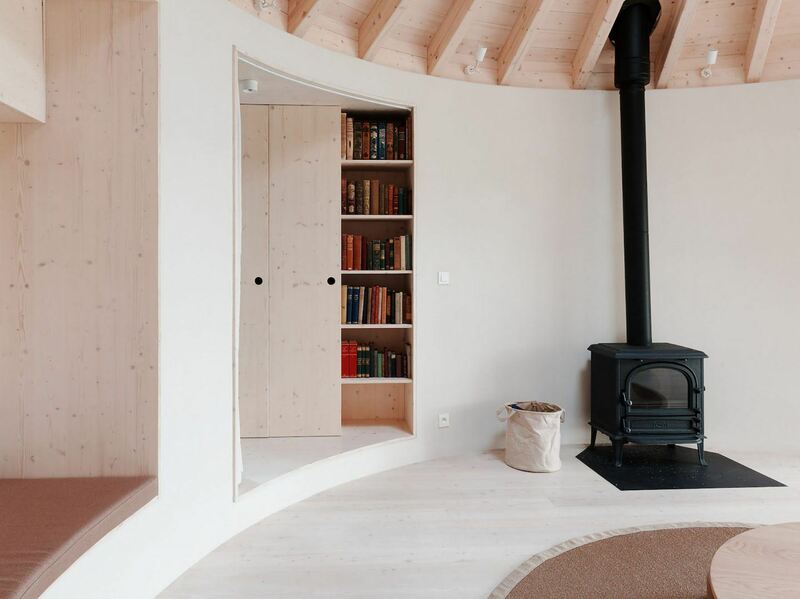 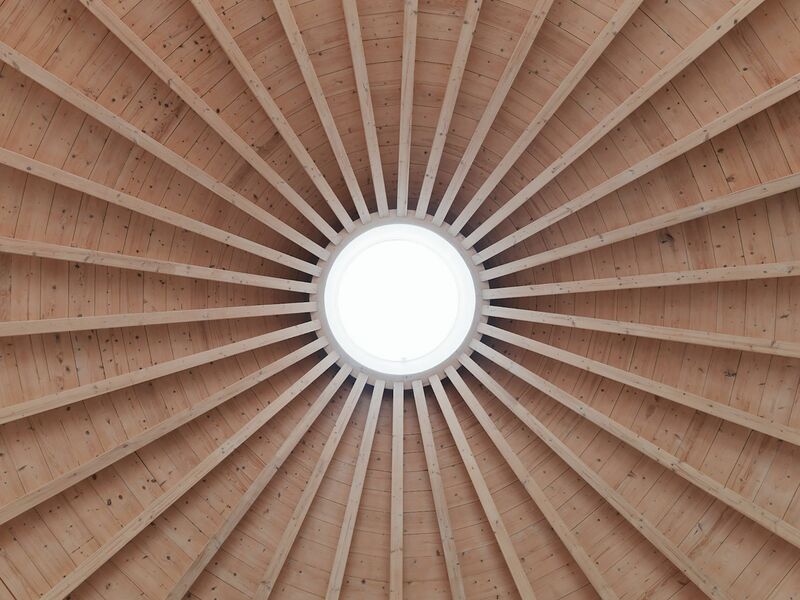 In this same space is the yurt-inspired ceiling whose circular form is topped by a glass skylight that illuminates the house naturally, undoubtedly the centerpiece of the home.